At Catch 27 in the heart of historic St. Augustine, fresh-catch seafood takes center stage. 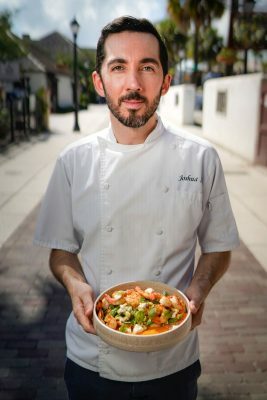 We spoke with head chef Josh Smith for a rapid-fire interview about his culinary inspirations and the area’s fast-growing farm-to-table focus. Q: What is it about St. Augustine that has made this your home? Growing career opportunities and warm weather are the two main reasons I chose to settle down in St. Augustine! A: What is your relationship with St. Augustine, your involvement with the community? I started my cooking career in St. Augustine as a teenager in 2003. I returned from Chicago 8 years ago, and since then have opened and led some of the city’s best kitchens while helping grow the “farm-to-table” movement. 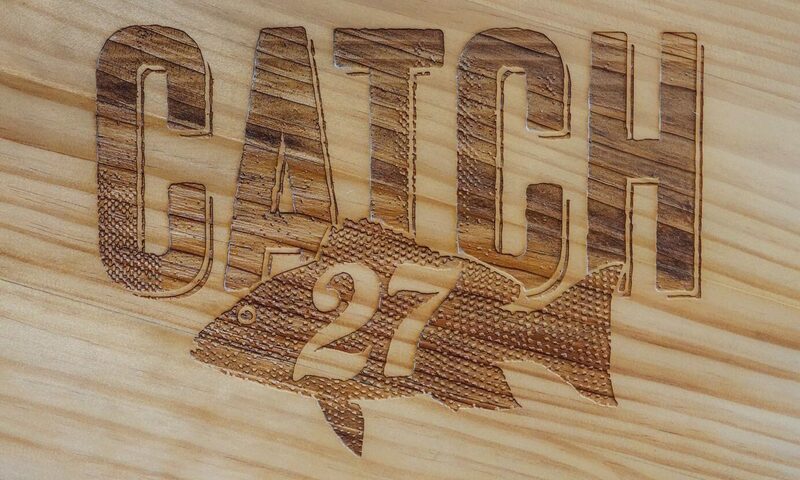 Q: Tell me the story behind the name Catch 27! A: We believe in preparing locally caught seafood (catch) from Florida, the 27th state. Q: What makes Catch 27 different from other restaurants? 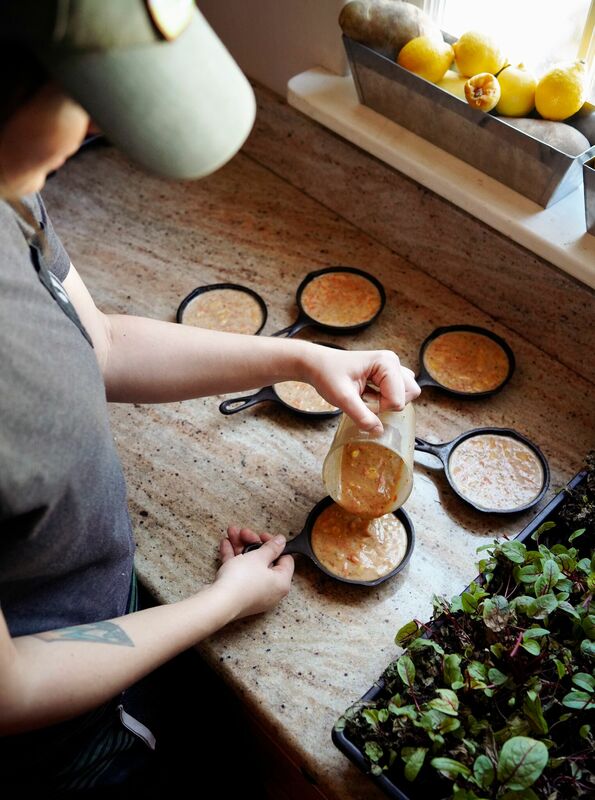 A: Besides using local seafood, we cook everything from scratch with seasonal ingredients and local produce. We serve local seasonal vegetables, fruits, grains, eggs, dairy, meats and herbs. Preparing a dish with local greens. Q: Why is Farm-to-Table important to you? A: Two words: Quality and sustainability. Q: Speak to me about some of the farms/aquaponic farms that you have visited and how they play a role in your dishes. A: Beginning in the fall, we start to see all of the local produce back in full swing at the St. Augustine Farmers Market. We get lettuce, radishes and honey from Local Greens in Elkton, and carrots, beets and collard greens from Ben Wells farm in St. Augustine, which highlight our seasonal menus. Q: What makes you proud to be a part of this farm-to-table movement? A: Supporting our friends who are local hardworking farmers, artisans and craftsmen. Q: What have been some of your influences and why? A: My influences are everywhere. Books, magazines, memories, family, farmers markets, movies, other restaurants, seasons, smells, colors — anything. 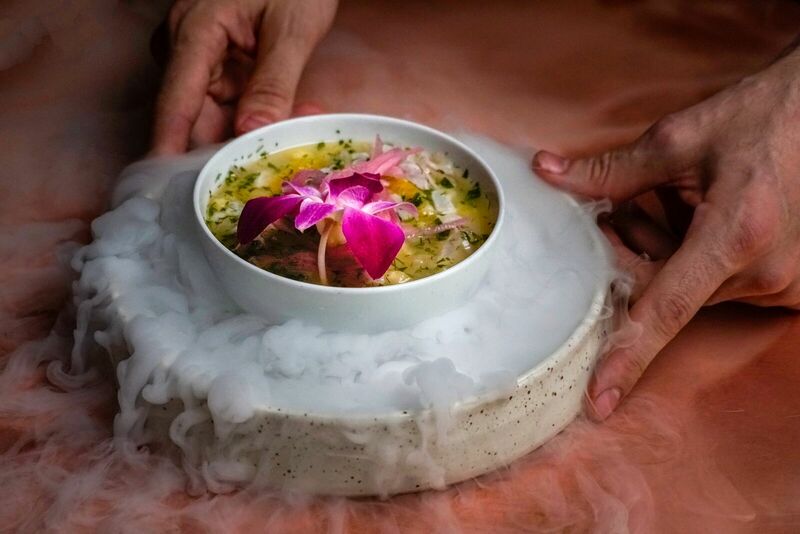 Lionfish Ceviche, served over dry ice. Q: What led you to becoming a chef? A: Endless creativity, culinary school, and family. Q: As an artist – what is the most important factor in your creation(s)? A: Fresh ingredients and a good dish idea. Cocktail bar at Catch 27. Q: If you could ask people from out of town to come in and dine with you in St. Augustine, what would you tell them? 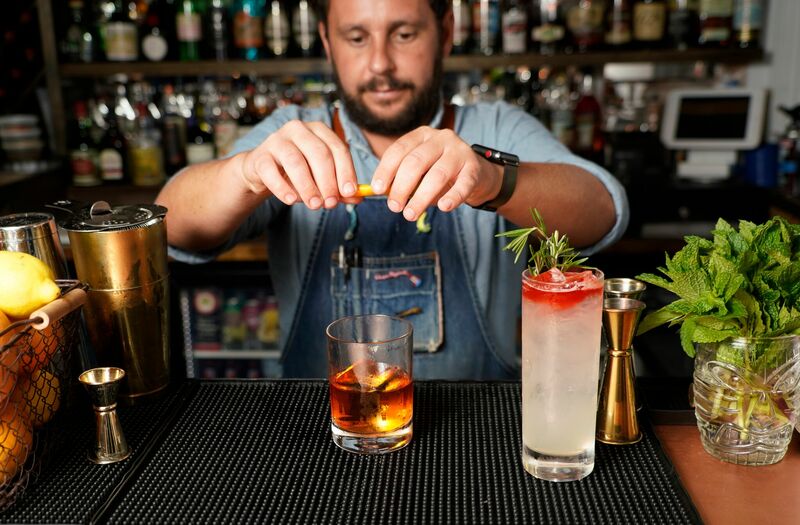 A: Top three things: Eat local seafood, drink craft cocktails and explore historic downtown St. Augustine. Q: Future plans? What are you looking forward to? A: Cooking, creating, skateboarding, teaching, pop-up dinners and making custom chocolate molds for our desserts. Read more about St. Johns County’s culinary scene.